Murkmere had been somewhere in my subconscious for a long time before I wrote it. But I didn’t realise this. When I was ten I had written a thriller (in six exercise books!) called Danger by Dark Water, about some children who uncover evil deeds in a house by a lake, called Dark Water. I had forgotten all about that early writing until one day a few years ago when a story leapt into my head, about swans on dark water, with a dilapidated house nearby. 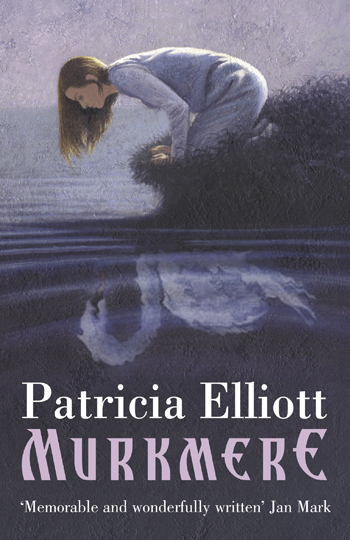 Although the names were so similar (Murkmere: Dark Water) this story was very different from my first one. But all I had at first was the image of a girl, painstakingly sewing a swanskin back together. I had to find out why. Who was the girl, and why was the swanskin in pieces? One of my favourite fairytales as a child had been Andersen’s The Wild Swans, so there was that early influence. While I was writing the first draft of the novel, my title for it was The Shadowskin, which is what Leah calls the swanskin. Sadly, my publishers wanted me to change it (for a good reason – they thought it sounded like a horror story! ), but I still prefer my original title. Murkmere Hall itself is based on a large house in Suffolk that you can see from the A12. It has ancient oaks in its parkland and even a small lake by its gates. The countryside round the estate of Murkmere – particularly the Wasteland – is very much the flat, gorse-covered heaths and marshland of East Anglia. For the bird religion and Table of Significance in the story I looked up ancient superstitions about birds. I didn’t have to invent anything.